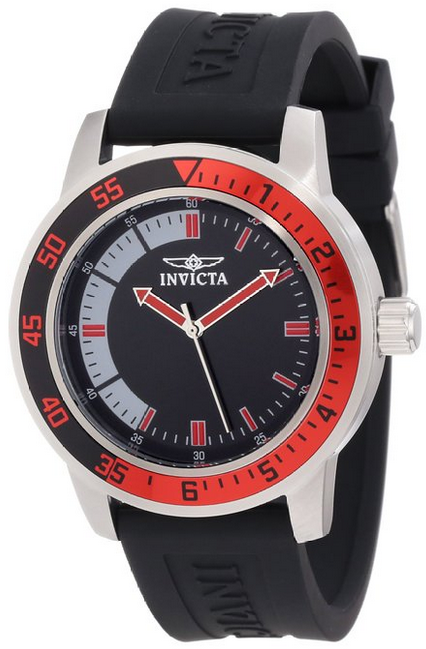 Invicta Men's Specialty Black Dial Watch Only $50 PLUS FREE Shipping 90% OFF! You are here: Home / Great Deals / Amazon Deals / Invicta Men’s Specialty Black Dial Watch Only $50 PLUS FREE Shipping 90% OFF! Invicta Men’s Specialty Black Dial Watch Only $50 PLUS FREE Shipping 90% OFF! If you are shopping for a Dad or Grad, this is a SCREAMING Deal! This Invicta Men’s Specialty Black Dial Watch is Only $50 PLUS FREE Shipping! These watches are normally priced at $495 so this is nearly 90% off! You won’t see another deal like this any time soon so hurry and get yours before they are gone!